You can deduct some work-related travel costs, but not your daily commute. The Internal Revenue Service’s rules allow you to deduct unreimbursed employee expenses, including the costs of certain business-related travel. Work-related travel expenses are included among miscellaneous deductions that are subject to the 2 percent income exclusion. This means you can deduct only those miscellaneous deductions that exceed 2 percent of your adjusted gross income. You can’t deduct the costs of commuting between your home and your regular place of business. The cost of your daily travel between your residence and the office, shop, store, factory or other location where you normally perform your work is considered a nondeductible personal expense, not an employee expense. If you work at two different locations in the same day, you can deduct the cost of driving from your regular workplace to the second work location. The travel costs are deductible regardless of whether you are working for the same employer or a different employer at the second work location. You can deduct the costs of driving for your employer between your home and a temporary work location such as a construction site. A work site is considered to be temporary if your work there is “realistically expected” to last for less than a year. If you work from a home office, you can deduct the costs of driving from your home office to another site where you practice the same trade or business, such as going to visit with a client or to deliver goods to a customer. You can base your work-related travel deduction on your actual automobile expenses or use the IRS’ standard rate of 55.5 cents per mile as of 2012. You claim your auto expenses and any other deductible work-related travel costs on Form 2106, which you attach to your Form 1040. You add the travel costs to all your other miscellaneous deductions and take the amount that exceeds 2 percent of adjusted gross income on Line 21 of Schedule A. 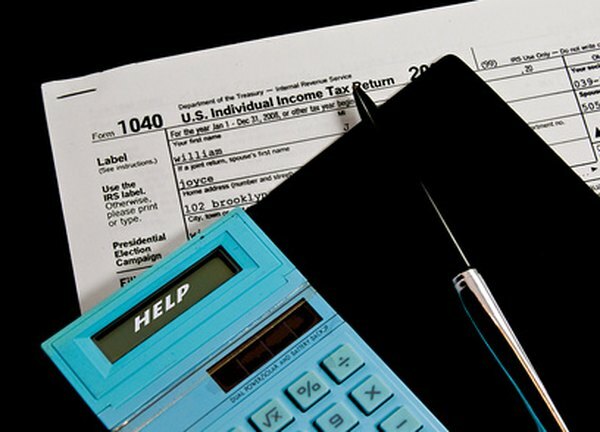 Can Rent and Utilities Be Used as a Tax Deduction?